Do You Need Extra Potassium When Taking Magnesium? Potassium and magnesium perform a variety of functions related to the muscles, organs, tissues and cells. It is imperative to get the recommended amounts of each of these minerals on a daily basis, and if you become deficient in magnesium, you may become deficient in potassium as well. 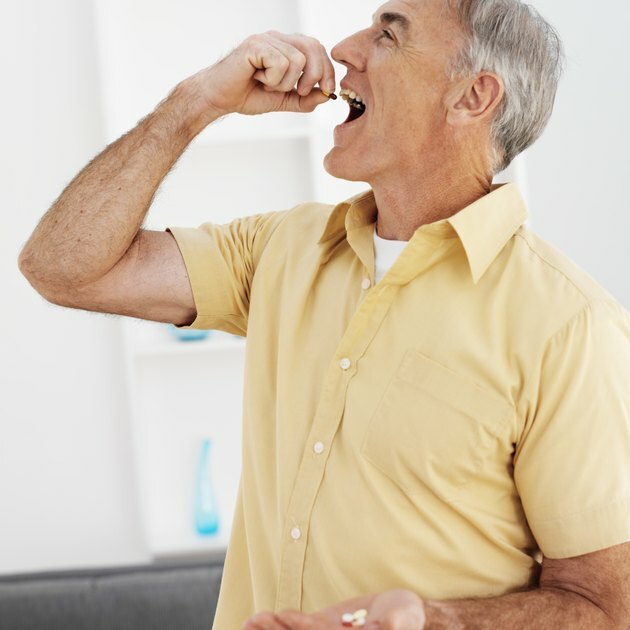 Taking magnesium supplements typically corrects both deficiencies without also having to take extra potassium, but your doctor will help you determine if this is true in your case. Most people meet the recommended dietary allowance, or RDA, for potassium through food, but many do not get enough magnesium from their diets. If you have chronically low blood levels of magnesium, this can result in low potassium and calcium levels too. For these reasons, your doctor may have you take magnesium supplements. According to the Office of Dietary Supplements, men over 30 need 420 milligrams of magnesium a day and women from the same age group need 320 milligrams. The Linus Pauling Institute states that all adults over the age of 19 need 4,700 milligrams of potassium a day. Certain contributing factors can enhance your risks of a magnesium deficiency and, in turn, a potassium deficiency. Many illnesses and diseases can disrupt your levels of magnesium, and these include diabetes, alcoholism, malabsorption conditions, kidney disease and intestinal viruses. It is also possible to become deficient in potassium if your magnesium levels are normal, and many of the same factors that lower your magnesium can lower potassium as well, such as alcoholism and intestinal illnesses. Congestive heart failure and overusing laxatives can also cause a potassium deficiency. If you become deficient in magnesium, you may experience anxiety, sleeping issues, vomiting, low blood pressure, muscle spasms, hyperventilation, an irregular heartbeat and fatigue. You may then become deficient in potassium, a condition known as hypokalemia. Signs of a potassium deficiency include muscle weakness, cramps, fatigue and intestinal paralysis that causes bloating, constipation and stomach pain. If you suspect you have low levels of both or either of these minerals, seek immediate medical attention as these deficiencies can be life-threatening. Always get a doctor's approval before you begin taking new supplements. Both magnesium and potassium can interact with certain medications and conditions, and ingesting too much of either also puts you at risk for overdosing. The tolerable upper limit for magnesium supplements is 350 milligrams a day, according to the Office of Dietary Supplements, and there is no tolerable upper limit for magnesium ingested through food. There is no tolerable upper limit for potassium as a toxicity is commonly the result of kidney failure or consuming certain types of medications. Nevertheless, get approval from your doctor before exceeding the RDA for potassium. How Many Vitamins and Minerals Do We Needs? Which Form of Magnesium Is Best Absorbed? Can Taking Potassium Supplements Be Dangerous?